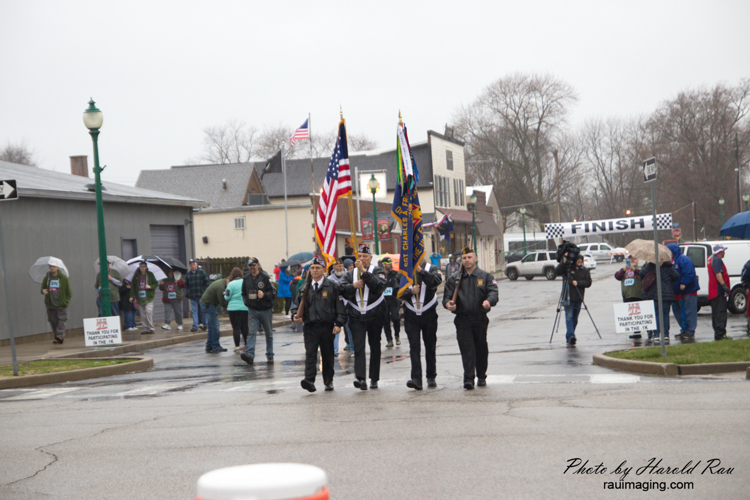 Left to right, all Post 805 Comrades: Post Commander Ed Martinez, Bill Kuehn, John Pietrusinski, Peter Magnus, Gabe Marrel, Race Director Paul Zinck. 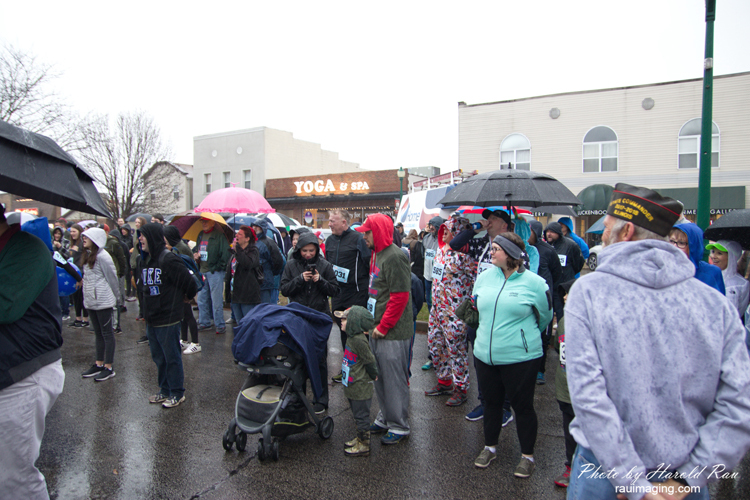 O’FALLON – The sixth annual 0.1K Fun Run took place on Saturday, March 30, in downtown O’Fallon. 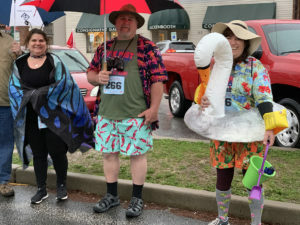 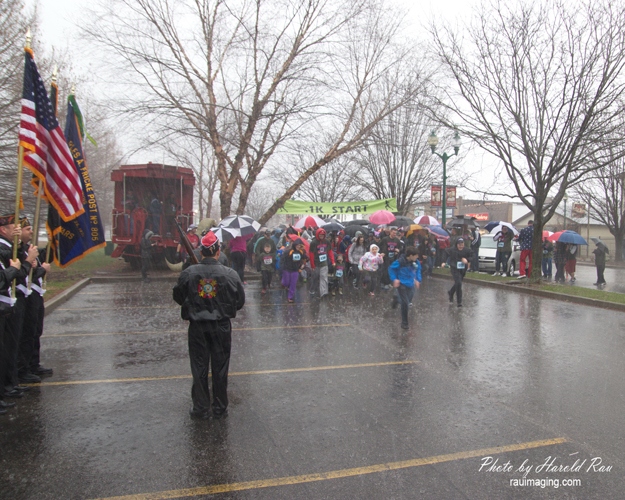 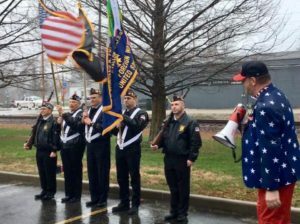 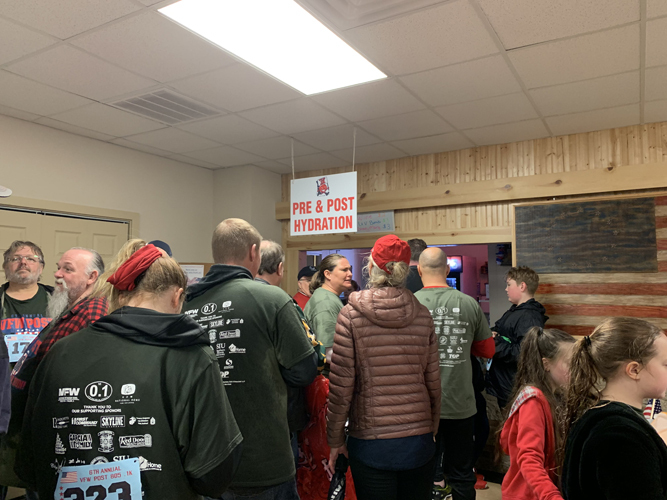 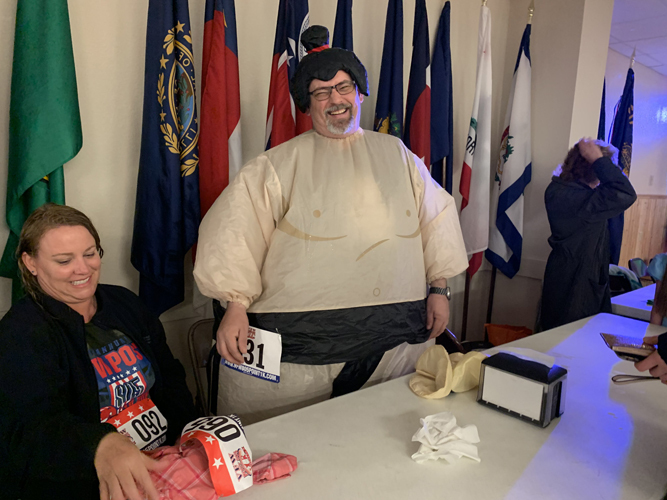 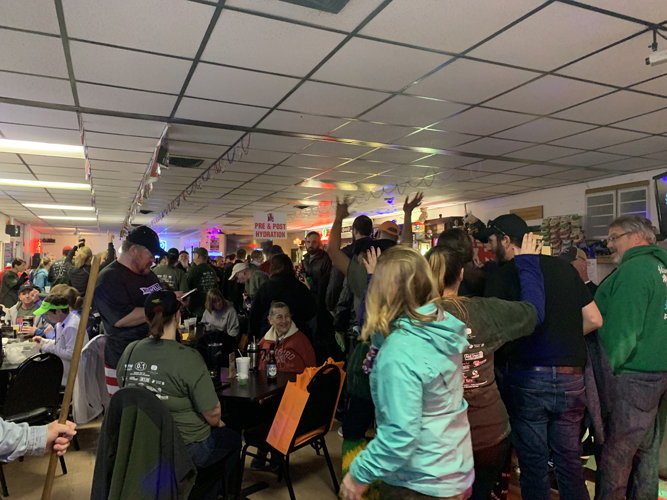 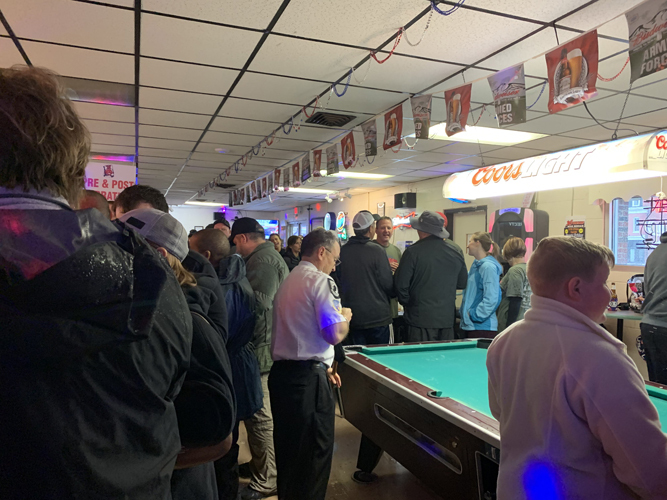 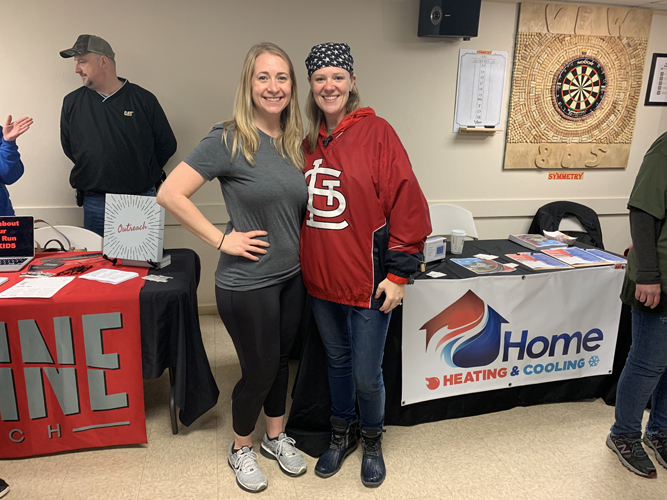 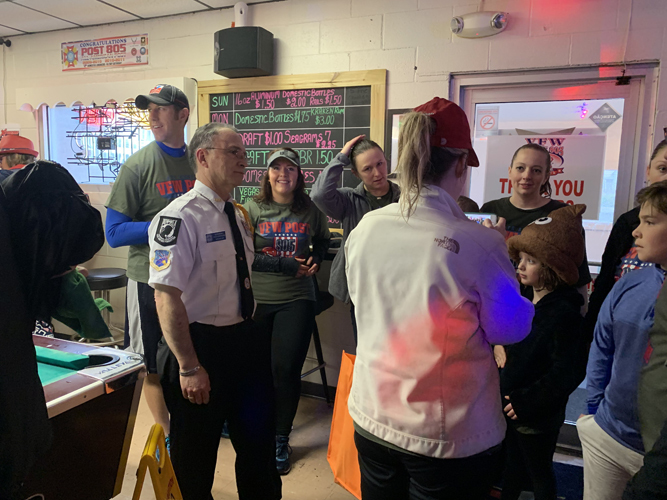 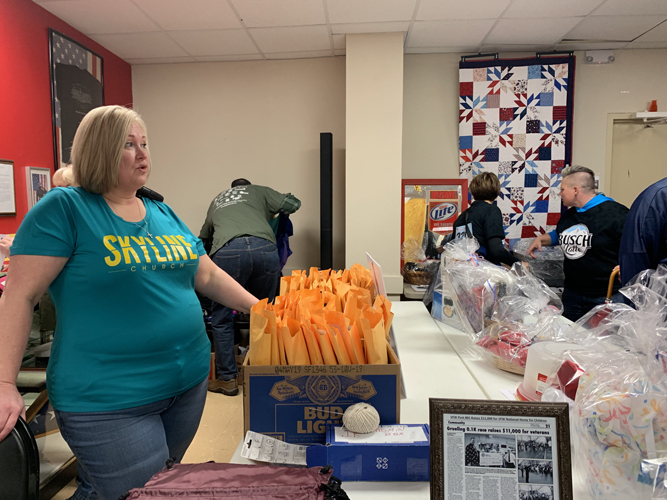 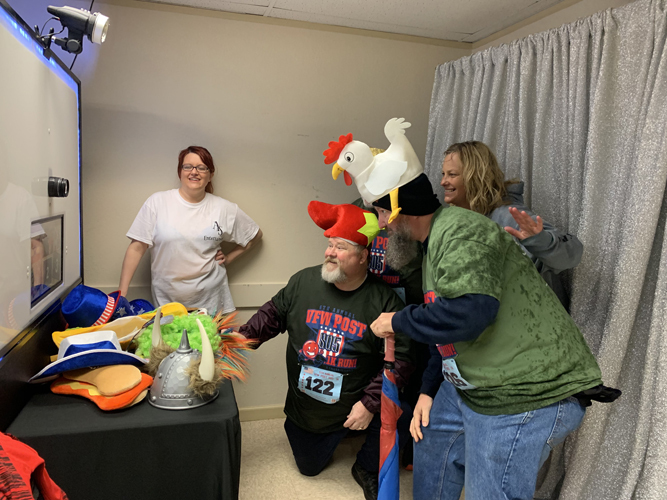 VFW Post 805 hosted the 0.1K and gathered a large crowd in their facility following the rainy fun run on First Street. 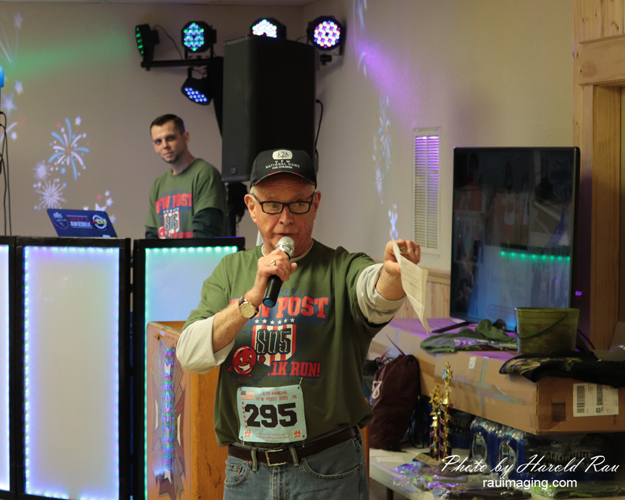 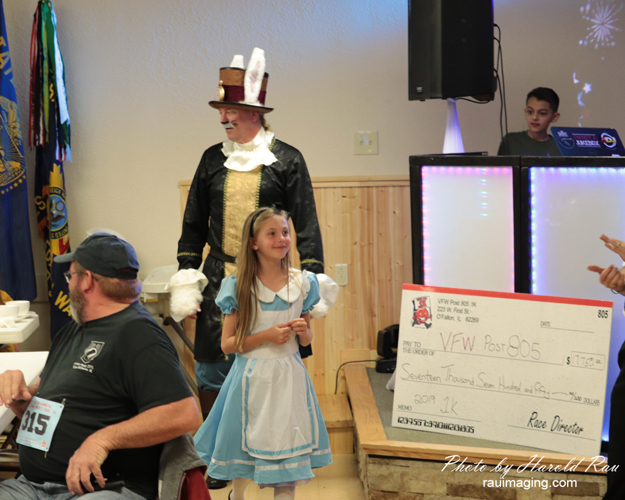 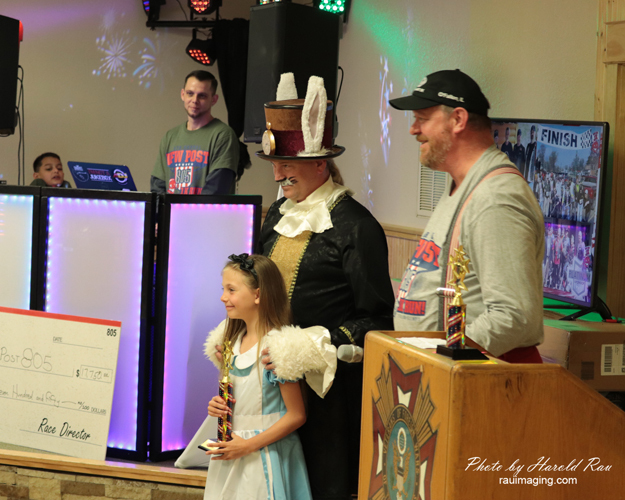 Over $18,000 was raised by the 0.1K race this year for the VFW National Home for Children and the Post 805 Troop Support Fund. 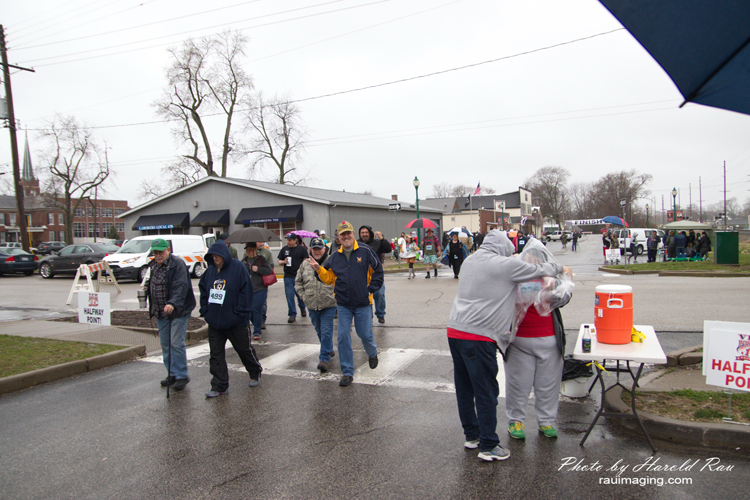 The VFW saw an increase of participants in the race this year, 678 total which is 189 more than last year. 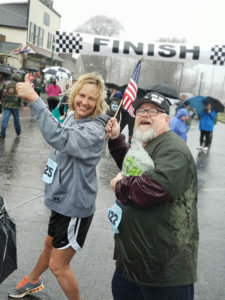 Racers of all ages walked or ran across the finish line during the Saturday morning event. 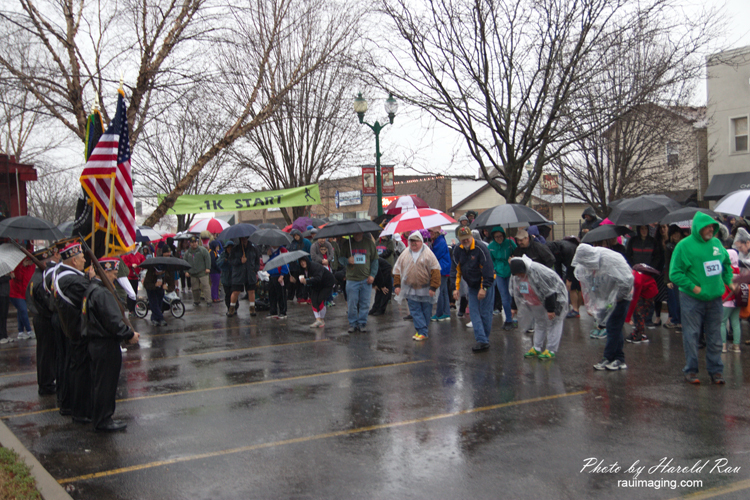 The start line was near the caboose in downtown O’Fallon. 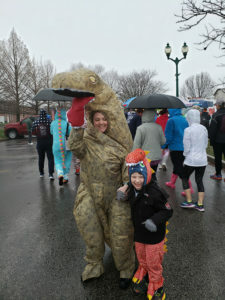 Post 805 Comrade Kenna Melvin-Wittkowski and her son. 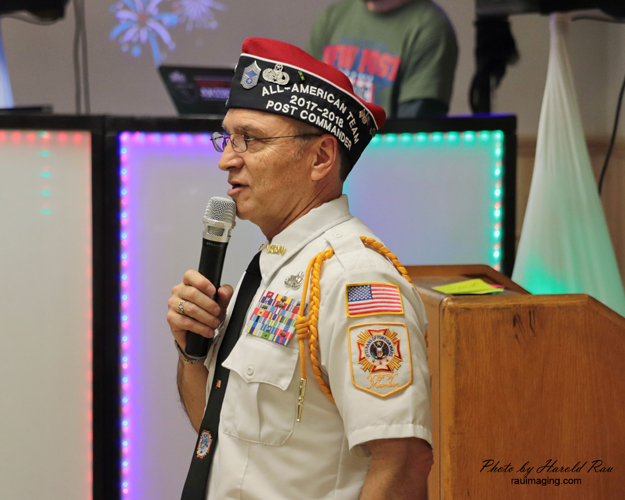 The VFW post is located at 221 West First Street.